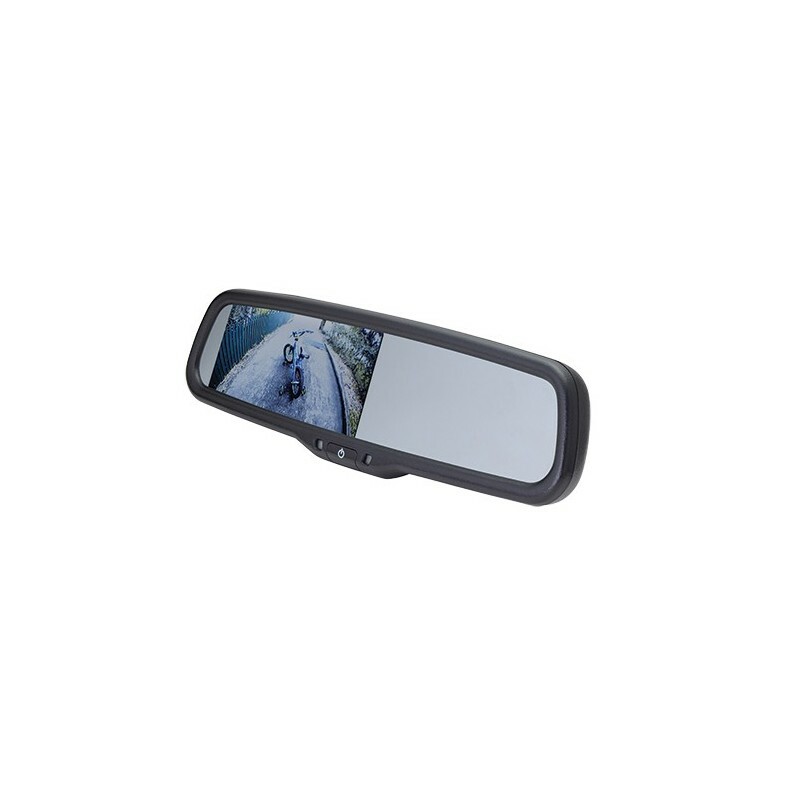 Conveniently view your camera feeds on this 4.3” rearview mirror with monitor. Complete your safety camera system with this universal replacement rearview mirror with 4.3" monitor. Add a back-up, side or front camera to your vehicle, and integrate the camera feeds into your driving experience. 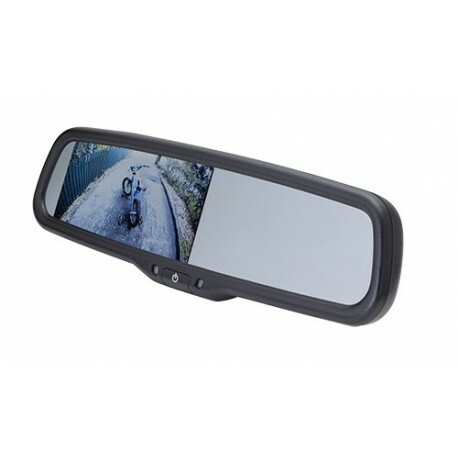 This rearview mirror replaces your existing rearview mirror, but enhances it with visibility of your camera feeds. The auto dimming display ensures a clear view, regardless of lighting conditions.